Garbanzo beans are not just for Hummus. 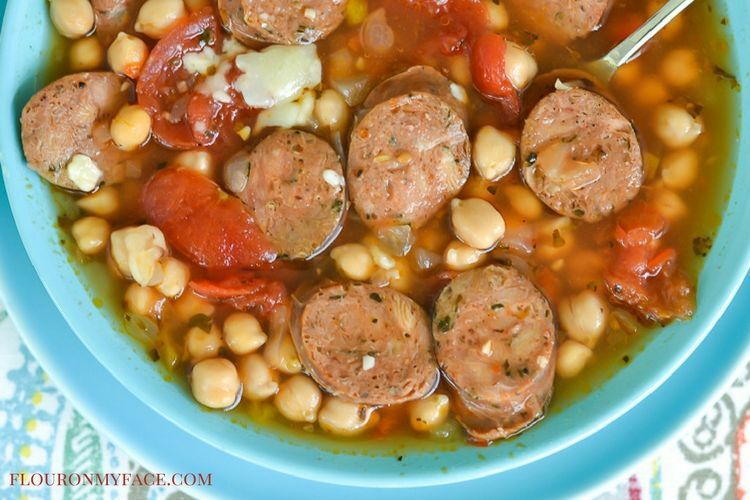 They make a delicious Crock Pot Sausage Garbanzo Bean soup! Crock pot soup recipes made with beans is a great way to boost your fiber intake while enjoying a hot delicious bowl of soup for lunch or dinner. Hello my faithful readers. I hope you are reading today’s Crock Pot Sausage Garbanzo Bean Soup recipe via my new email provider! I didn’t think it was possible to get it up and running in time for today’s recipe. But the great folks over at FeedBlitz did a wonderful job of getting it set up. I hope you like the new format. I will still need to make a few tweaks here and there. I hope it will be a better format to get my updates out to you all! Thank you for sticking with me! Garbanzo Beans AKA Chickpeas are good for you! Chickpeas are low in saturated fat, very low in cholesterol and sodium. Garbanzo beans contain high amounts of folate and manganese. Beans are very good for you but are not low in carbs. Most of you might remember that I do follow a low carb diet. Because beans are very high in fiber and low in saturated fat, cholesterol and sodium I make an exception. I don’t eat large servings of beans all the time but because the health benefits outweigh the high amount of carbs I do eat them occasionally. 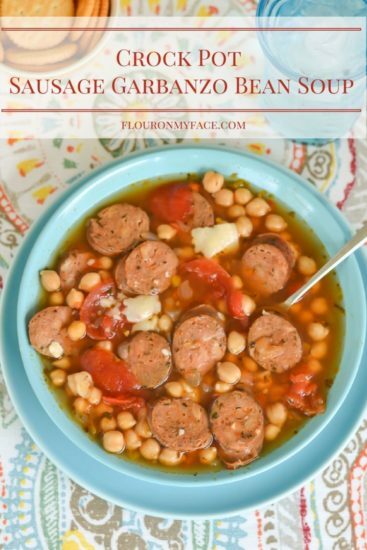 I’ve used chicken sausage in this Crock Pot Sausage Garbanzo Bean Soup recipe instead of pork sausage. I happened to have some Aidelles Italian style Chicken sausage in the freezer so I used it. You can use whatever type of sausage you like just make sure it is Italian style sausage. The Italian seasonings in the sausage adds flavor to the broth. If you’ve never tasted Aidelles chicken sausage or chicken meatballs you have to pick some up the next time you are shopping. They are so good! My favorite is the Spicy Mango & Jalapeño meatballs. I love them! An added bonus is that all of the Aidelles products are antibiotic free, Gluten Free, have no nitrites and no added hormones. Add all the ingredients to a 4 quart crock pot slow cooker. Cook on high for 4 hours or 6 hours on low. Makes 4 servings- could easily be doubled if needed. This Crock Pot Sausage Garbanzo Bean Soup recipe is packed full of fiber from the garbanzo beans and the flavor of Italian sausage adds a nice flavor to the broth. Kick up the heat by using hot Italian sausage in this recipe. Add all the ingredients to a 4-quart crock pot slow cooker. 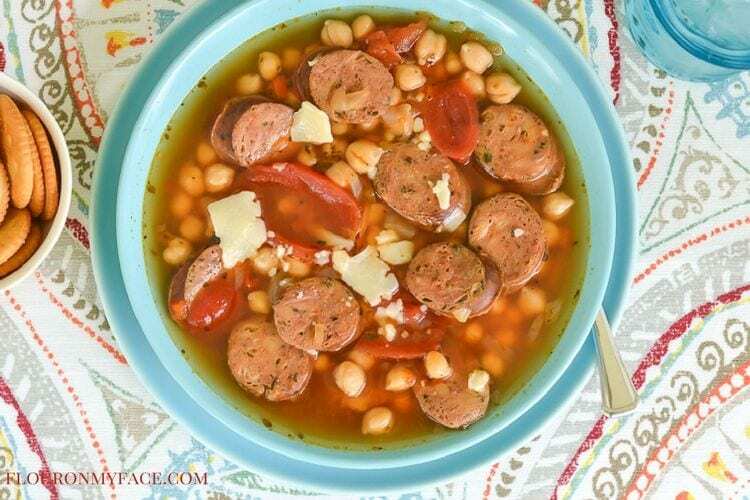 Looking for more crock pot soup recipes like this Crock Pot Sausage Garbanzo Bean Soup recipe? 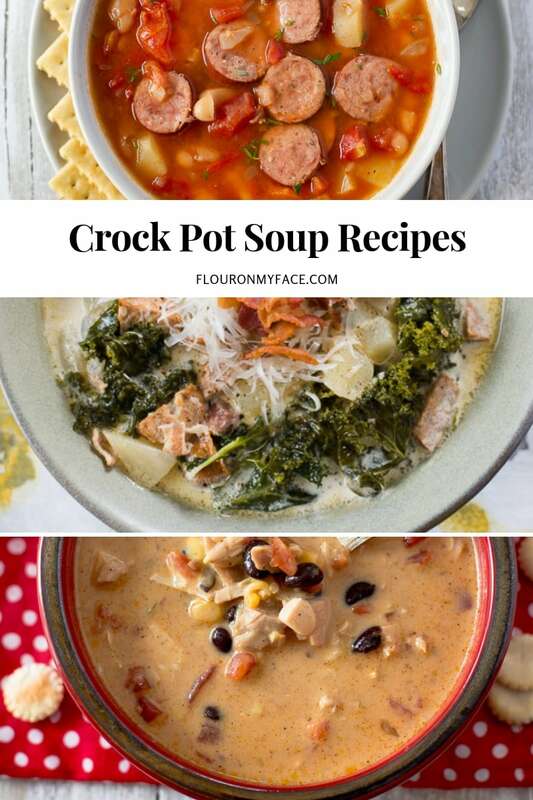 Check out my crock pot soup recipes page where you will find all of my crock pot soup recipes in one place. 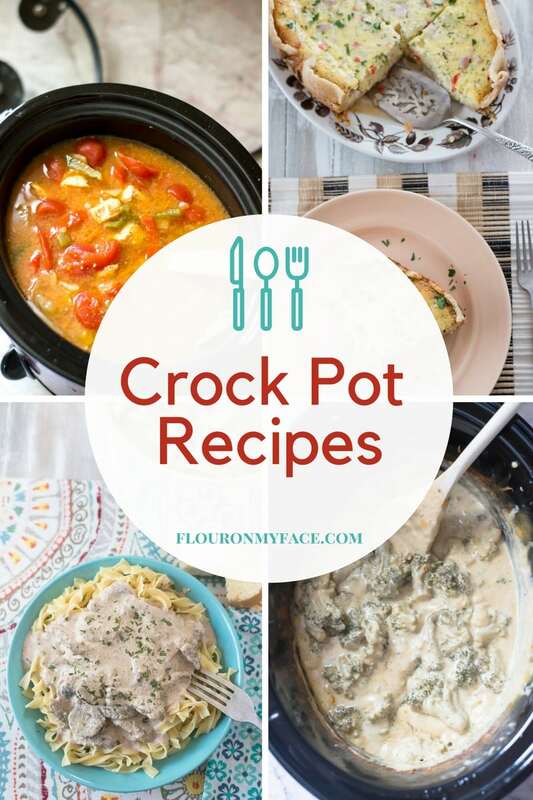 For a list of all my other crock pot recipes head over to the Crock Pot recipes page. what type of bean can I sub for the garbanzo, I seem to have every other type in the pantry but that one ! We are a bean loving family…. any way you fix them. I appreciate any & all suggestion & help………. Abby you can use pretty much any kind of bean you like. Kidney beans, great northern beans, pinto beans or cannelli beans would all tatse very good. You could use one type of bean or mix it up. Enjoy the recipe! This soup looks so delcicious – I can’t wait for colder weather and hot soups! Would love to have you share it at the What’s for Dinner Link up! This looks so yummy and makes me excited for fall! I made this recipe today for supper. It was delicious! Thanks, Arlene, for sharing with us. Patty I am so glad you enjoyed the recipe. It is one of my favorites!